PHILADELPHIA — Two neurologists from the Perelman School of Medicine at the University of Pennsylvania have received high honors from the American Academy of Neurology (AAN). The awards were presented at the American Academy of Neurology’s 66th Annual Meeting in Philadelphia April 26, 2014 through May 3, 2014 at the Pennsylvania Convention Center. 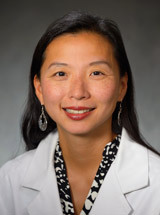 Parkinson's disease expert Alice Chen-Plotkin, MD, MSc, assistant professor of Neurology, will receive the Jon Stolk Award in Movement Disorders for Young Investigators in recognition for her efforts to establish reliable biomarkers for cognitive and other changes in Parkinson's disease and related neurodegenerative conditions. 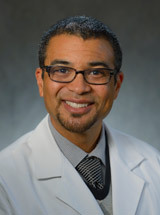 Roy Hamilton, MD, MS, assistant professor of Neurology, will receive the Norman Geschwind Prize in Behavioral Neurology for his work on the mechanisms of neuroplacticity. His research has demonstrated the compensatory behavioral response of the brain following stroke, and he is now looking at how interventions such as transcranial magnetic stimulation (TMS) can be used as a biomarker or neurorehabilitative treatments after stroke and other forms of brain injury. "We are delighted and proud to have two young faculty members receive these prominent awards from the Academy for their research," said Frances Jensen, MD, chair and professor of Neurology in the Perelman School of Medicine. "Both of these clinician-scientists are great examples of collaborative researchers involved in multidisciplinary and translational efforts. Their frontier work, from a cellular and molecular level to real-world applications, has promising clinical potential."